Connected Health Conference panelists will cover digital literacy, health equity and patient-centric design. 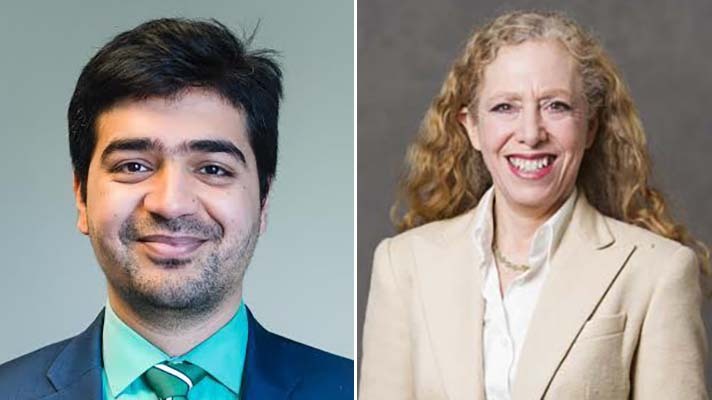 Kamal Jethwani and Lisa Gualtieri are among the speakers at the Connected Health Conference in Boston beginning Oct. 17. Both in the consumer and clinical worlds, it’s important not only to design for the user and involve them in the process, but also to realize the full scope of your user base, and make sure no one gets left behind. Considering the user is a vital step in teasing out the human element of connected health, and a number of speakers at this month’s Connected Health Conference will be tackling that issue, including Senior Director of Connected Health Innovation at Partners HealthCare Kamal Jethwani, and Tufts University School of Medicine Associate Professor and Recycle Health founder Lisa Gualtieri. This is easy to say, but can be hard to implement when even the simplest UI aspects could have unconsidered implications for particular subsets of patients. Gualtieri gave a particularly striking example. In testing out an automated text message system for people with diabetes, Jethwani also got a reminder to challenge his assumptions about patients, although in this case smart technology was able to correct for the oversight. This need to consider all kinds of patients extends to the consumer world as well. As the founder of Recycle Health, a nonprofit that collects used fitness trackers, refurbishes them, and provides them to people in need, Gualtieri’s focus is often on those kinds of connected activity trackers. She said when Recycle Health provides trackers to older people, they often express that they had previously avoided the devices because they thought they weren’t for them. “If you look at how Fitbit advertises, it’s very much kind of the young healthy people,” Gualtieri said. “I’ve only seen one Fitbit ad that had someone with grey hair, and it was this guy whose daughter gave him the Fitbit because she was engaged and she wanted him to look good and fit into his suit for her wedding. And while I totally get that as a marketing ploy, it really bothered me because it’s not about feeling good, it’s not about prevention of chronic disease. It’s about one day." Of course, in addition to feeling excluded by design or marketing choices, there are many other barriers that keep people from using, appreciating or benefitting from digital health tools. Cost is a major one, and Recycle Health was founded in an effort to start to address the fact that there were populations that could benefit from health tech but didn’t have access to it. Recycle Health has used its supply of donated trackers to help a wide variety of groups including homeless populations, low-income schoolchildren and older adults. For example, Gualtieri described one project with a homeless shelter in New Jersey. Designers also need to consider what kind of technology — up to and including smartphones — their patients, users or members might not have access to or the digital literacy to use. Finally, designers need to understand not just who their users are, but where they are in their life, which can change their motivation — and their need for intervention — drastically. Gualtieri said that many physicians don’t realize how major of a life change retirement is for older adults, and how it can affect motivation to work out or take care of oneself. “A lot of people have this really dramatic change in their lifestyle and one of the things that we’re really interested in is how can trackers help with that and also how can data reflect these changes so that their physician can work with them,” she said. The Connected Health Conference starts Oct. 17 at the Seaport World Trade Center in Boston. Jethwani will be presenting on two sessions: “From Hype to Reality: How to Make AI Work for You” on Thursday the 18th at 10:40 a.m. and “What it Really Takes to Build a Connected Health Solution: Separating Myth from Reality” at 12:40 p.m. Oct. 19. Gualtieri will be moderating the session “Designing for Equity” at 1:40 p.m. Oct. 19. Join PCHAlliance and the Partners Connected Health Symposium in Boston Oct. 17-19.